A neoprene wine cooler bag with your logo or branding message. 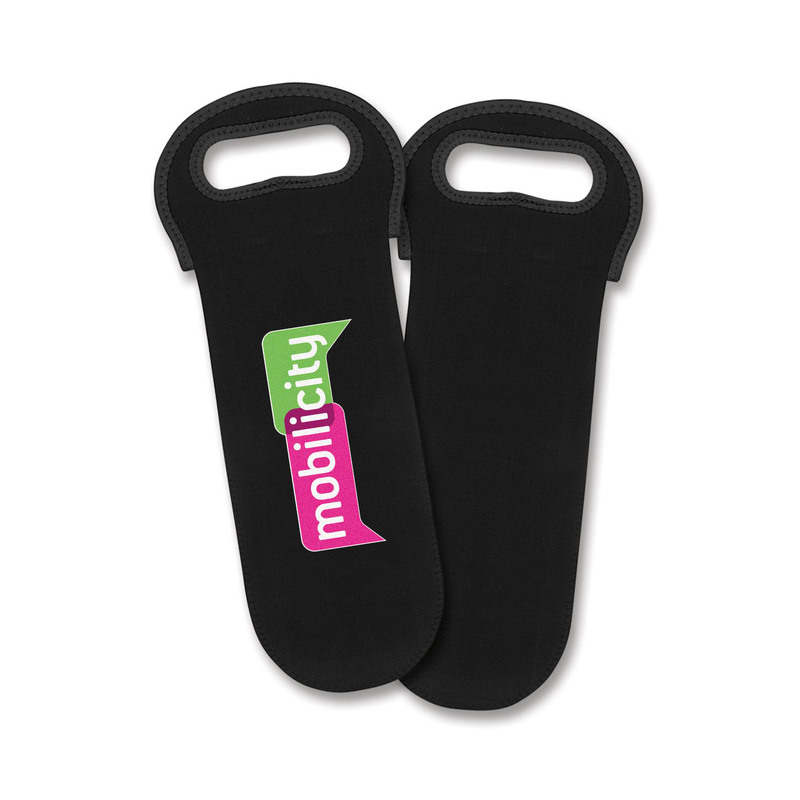 Help to keep your wine cool and your logo on peoples minds with some of these fantastic wine cooler bags. They're made from neoprene material that not only looks smart, but has excellent insulation properties too. These bags also feature a black stitched reinforcing around the handle and opening. Suitable for carrying 1 standard wine bottle.